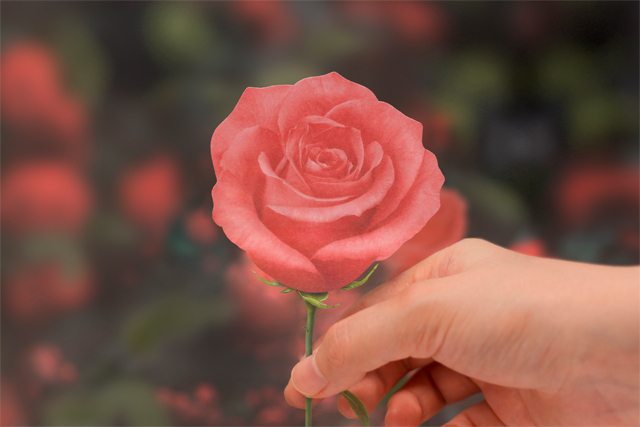 Sticky Leaf Rose is a sticky note shaped like petal. 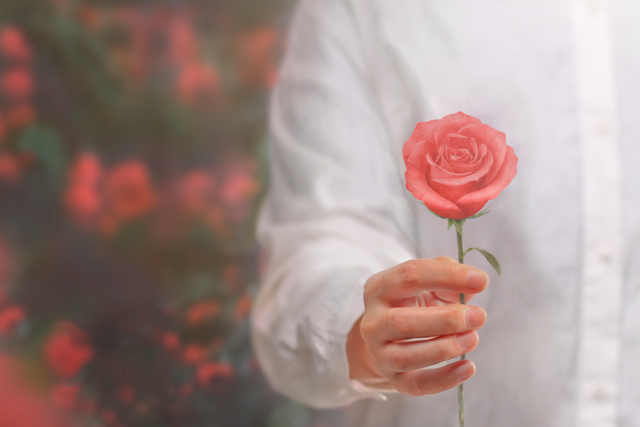 Looking at the roses blossom underneath the walls of roadside where the sun shines over to caress the warmth of the month of June, I recall my lover. 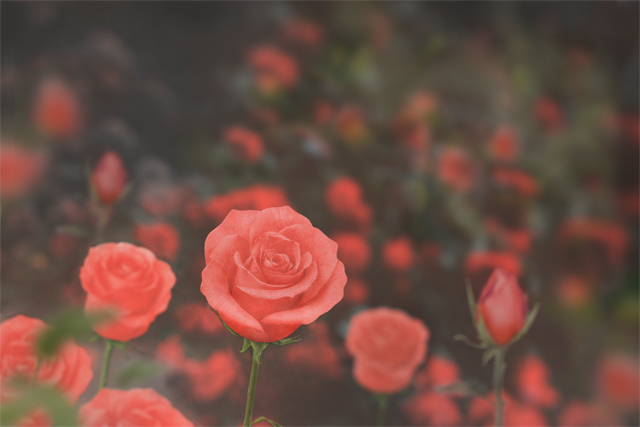 The language of flowers for roses is love, a pledge of love. The appearances of roses that beautifully blossom amidst the vines of rough jungle are perceived as a passion towards love. In the face of the passion of roses, I offer a rose to convey my heart of shyness. 스티키리프 장미는 꽃잎 모양의 점착메모지 입니다. 6월의 따사로운 햇살이 비추는 가로수길 담장 아래 피어난 장미를 바라보면 사랑하는 연인이 생각납니다. 장미의 꽃말은 행복한 사랑, 사랑의 맹세입니다. 야생의 거친 환경 속에서 가시 덩굴 사이로 아름답게 피어나는 장미의 모습은 마치 사랑을 향한 열정으로 느껴집니다. 장미의 열정에 용기내어 한 송이 장미로 수줍은 마음을 전해봅니다. While keeping original beauty of natural material itself as much as possible, we added the least design on it. 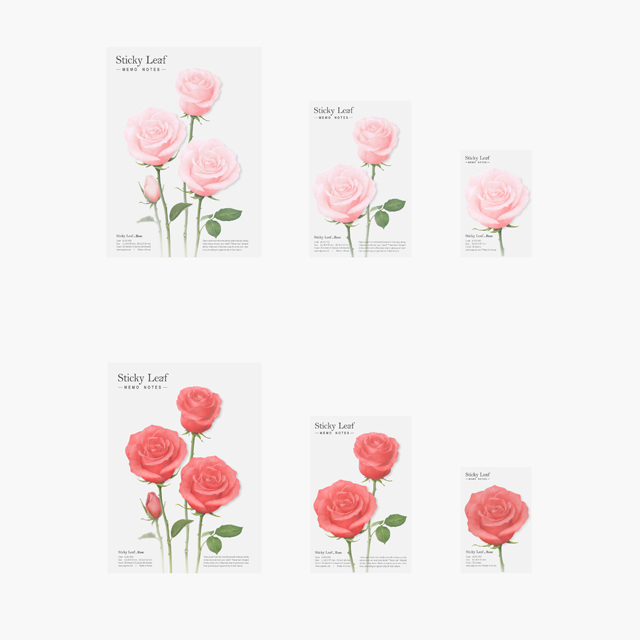 You may feel aesthetics itself of true nature with elaborately and realistically expressed rose. 자연의 소재가 가지는 본연의 아름다움을 최대한 유지하면서 최소한의 디자인을 가미하였습니다. 정교하고 사실적으로 표현된 장미는 자연 본연의 미학 자체가 느껴질 수 있도록 하였습니다.